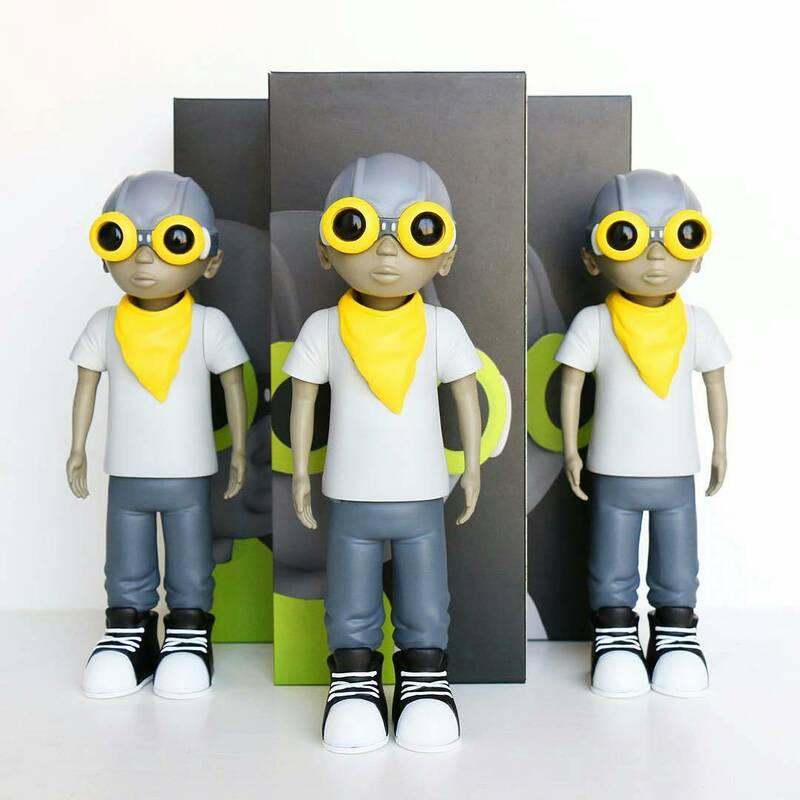 Yesterday at C2E2 2017, Hebru Brantley and Pop !nk Editions released the third colorway of the artist’s popular Flyboy vinyl figure! Fans around the globe were salivating at the news that Hebru’s signature creation, Flyboy, was returning in a super slick monotone colorway with mellow yellow accents. The C2E2 2017 Exclusive Gray Scale Edition Flyboy comes packaged in a full color box and is limited to just 50 pieces. 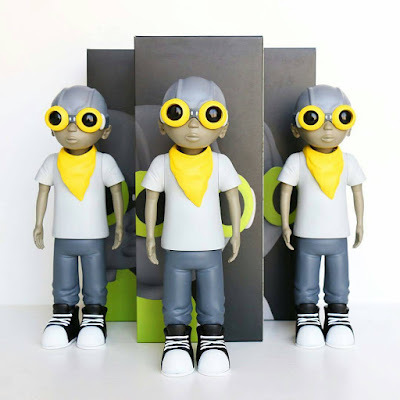 The Blot assumes this super limited edition release is now sold out, but keep your eyes peeled to the Hebru Brantley online store in case any figures become available online after the convention.